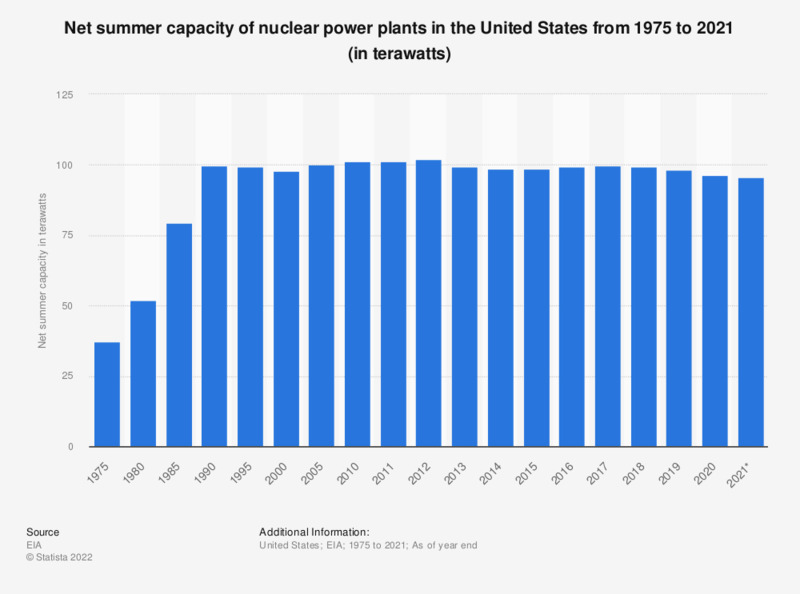 This statistic shows the net summer capacity of operable units in the United States between 1975 and 2018. In 2018, this figure stood at around 99.4 gigawatts. According to the source, the term net summer capacity describes the steady hourly output that generating equipment is expected to supply to system load - excluding auxiliary power - as demonstrated by test at the time of summer peak demand. Auxiliary power of a typical nuclear power plant is about five percent of gross generation. * As of year end.